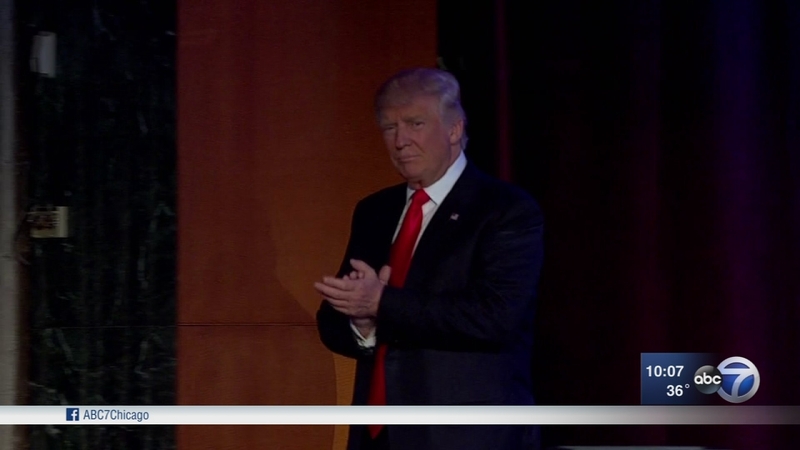 CHICAGO (WLS) -- President-elect Donald Trump's so-called "thank-you tour" will be met with protests here in Chicago. Demonstrators plan to rally outside Trump Tower around 5 p.m. Thursday over reports that the president-elect might visit the city. But Chicago police said they were not planning on a visit from him. Still, that did little to change the minds of frustrated protesters. "If he's not coming, we're going to have a celebration. We're going to send a message to the president-elect that Chicago is not a place he can come without protest," said John Beacham, ANSWER Chicago. Chicago has been a volatile stop for Trump since before the election. In March, he canceled a rally at the last minute - over safety concerns - when thousands of people showed up to protest. Trump and Vice President-elect Mike Pence will be in Indiana Thursday, highlighting the decision by a manufacturer to keep 1,000 jobs in the state. Pence offered Carrier incentives to stay.